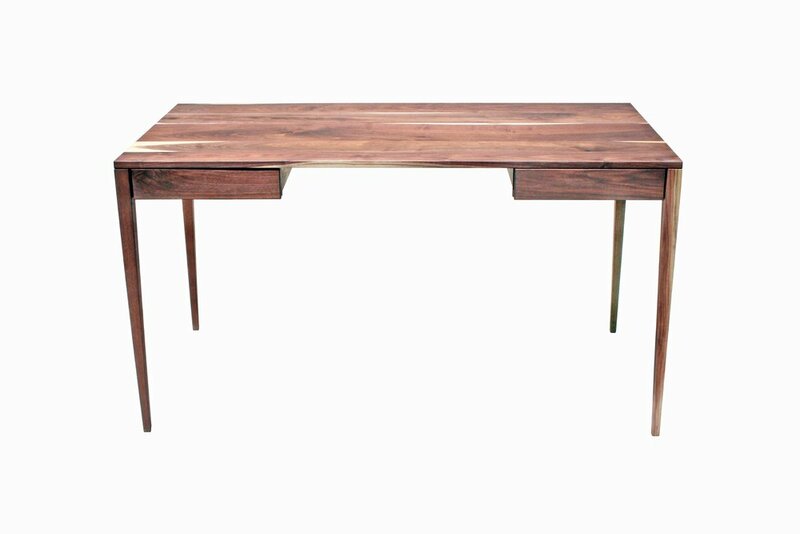 An executive desk should be as important as your suit. SENTIENT has worked on a wide array of home offices and executive suites in a number of styles—from formal corporate offices to casual tech startups. Tailor-made to your standards in Brooklyn by SENTIENT. 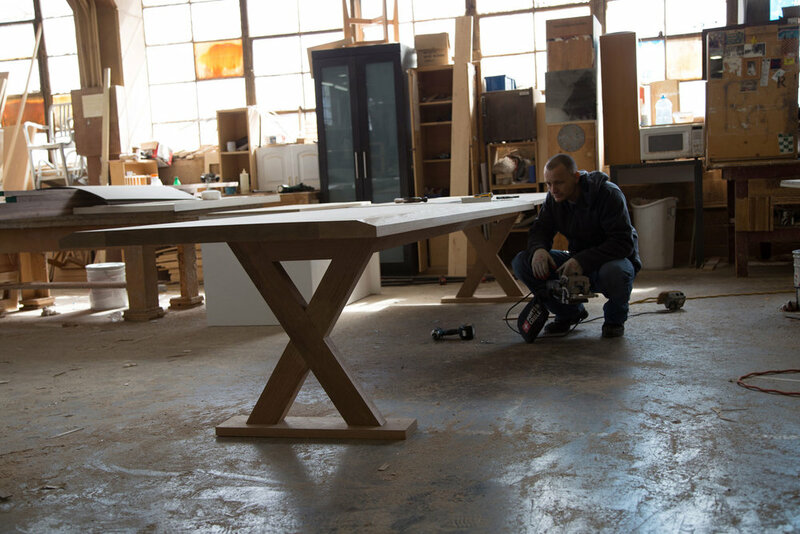 Work directly with the SENTIENT design team and workshop to create a custom table that meets your specifications but also makes a statement. We offer a wide spectrum of hardwoods, veneer & metallic finishes. 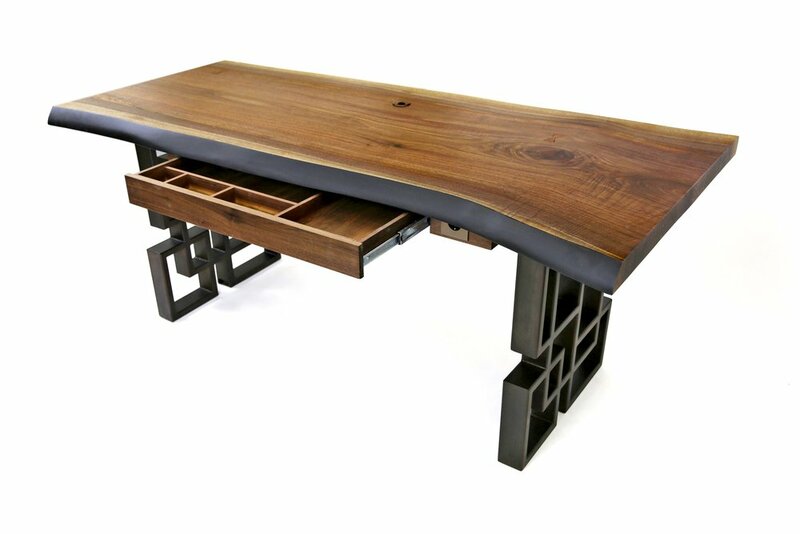 SENTIENT is probably best-known for our Signature live edge tables. We are pleased to offer them as desks as well. 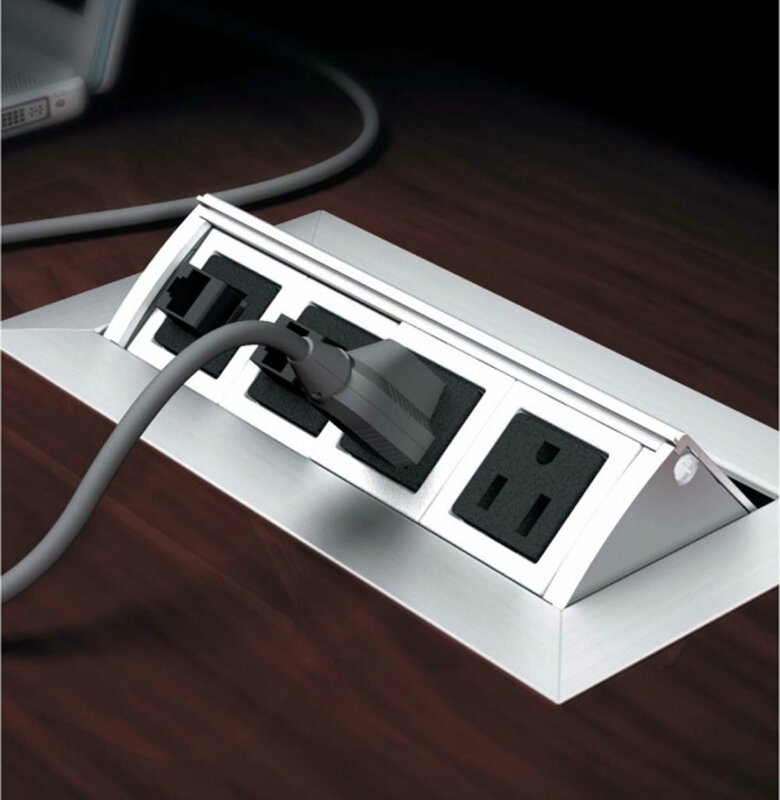 We offer a number of bases and cable management solutions. 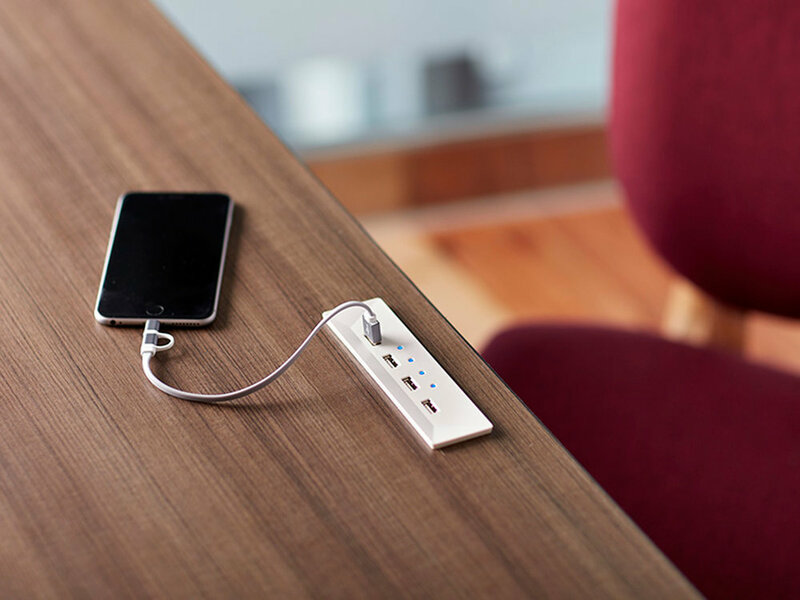 SENTIENT can include power outlets, USB hubs, hidden wiring & wire management into any desk design. We have experience with a number of solutions and can provide you with a number of options.